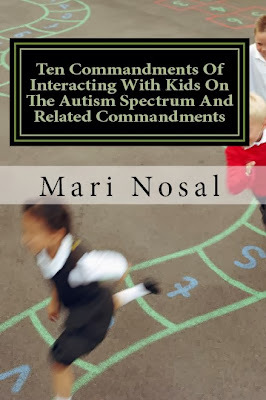 Mari Nosal is an educator, author of ‘Ten Commandments of Interacting with kids on the Autism Spectrum and related commandments’ and most importantly a mother to two handsome chaps 27 and 25 years old. Her youngest son was diagnosed Asperger’s in High School and with her steely determination advocated on his behalf. 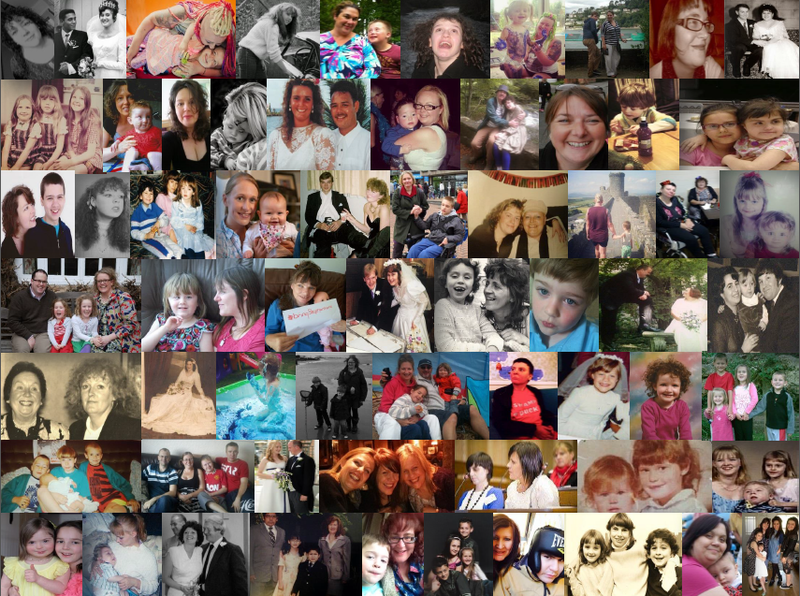 I didn’t need to read much of Mari’s writing to identify a kindred spirit in more ways than one; a champion of autism awareness and a valued voice of friendship to so many SEN Mums in the sometimes crazy world of social media! Reading about Mari and her lovely family has given me an insight into the future myself and my own family have yet to achieve. Mari’s story is engrossing, insightful and so very positive just like her personality. She has you feeling hopeful, determined, and most importantly allows you to feel that anything is possible. "No one believed he had as many challenges as were present. He was diagnosed in second grade with ADD and deemed lazy and defiant. In reality although He had A.D.D. he had many other issues as well. I went back to school and vowed that I would become an advocate for all special needs parents and never brush off their concerns as ours had been." I was born in Panama, South America. My father was a merchant marine officer. 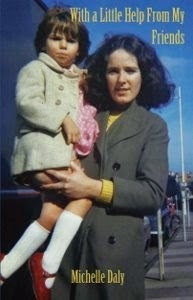 He and my mother moved to Panama when my brothers who were identical twins, were five months old. My father was the chief port engineer at the Panama Canal Zone. My brothers were five years older then me and I have a sister 10 years older. 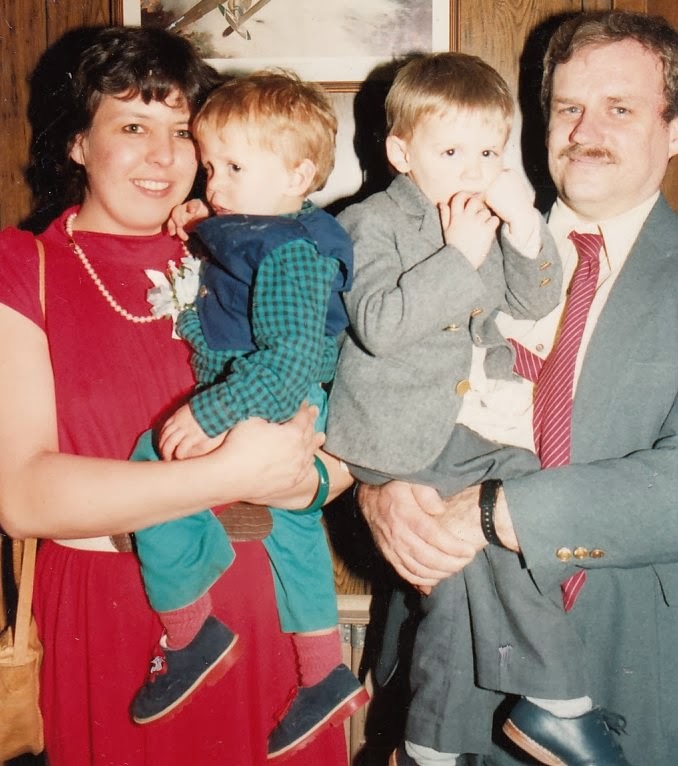 My parents got divorced when I was three and I moved back to the States with my siblings and mother.. We lived in New Jersey for a year and then moved to Massachusetts. My mother wanted to move back by family. I saw my father once a year when he came to the states for a few days. We moved around town quite a bit to better apartments as my mother saved some money. We moved every year or so. We did not have much financially as I basically had an absentee father. I had a moderate speech impairment and went to speech therapy from age six to age twelve. I had a syndrome that in laymens terms was called a watery S. I was an avid reader and was reading Nancy Drew chapter Books at age six. I was an extremely extroverted Tomboy who emulated my brothers, yet I loved to hole my self up in my room for a couple of hours and read at the same time. I loved sports and became a hurdler on the track team in high school. I have always had a strong level of empathy about me. I would help out all of the underdogs or anyone for that matter who needed my assistance. I recall a little boy who was extremely poor and had ten siblings. He sat in front of me in fourth grade. I would always ask him what he ate for breakfast because I was worried about his health. I soon started bringing him home and asking my mother to give him lunch. I also brought food to school for him because I did not want him to be hungry. Growing up in a single parent household was tough but I believe it was a blessing in many ways. 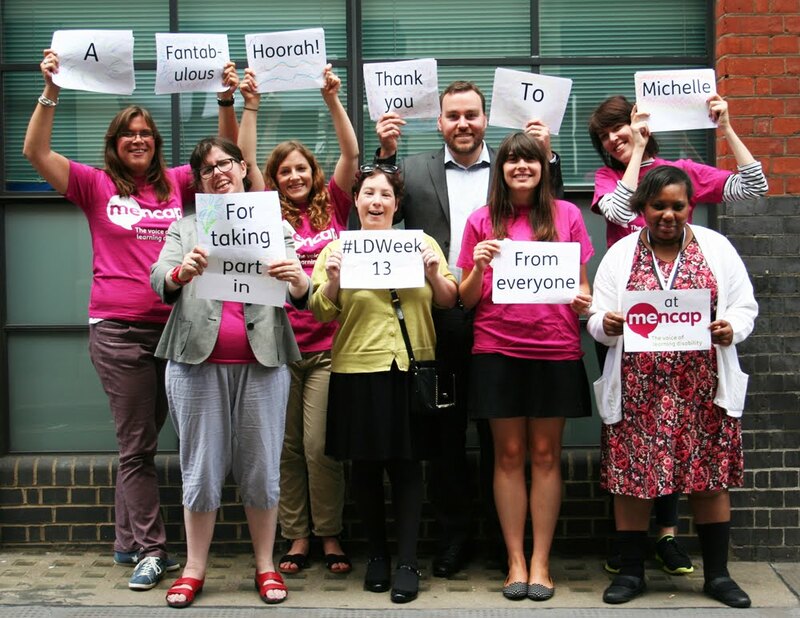 I learnt to empathise with others because I knew what it was like to live with challenges. I developed a strong sense of responsibility and a can do attitude because I had to take care of myself if I wished to survive in life. My husband Bob and I celebrated our 28th anniversary together on October 19th. He is truly my other half, friend, and soul mate. Bob is a civil engineer. We have weathered many challenges together. On top of medical challenges with our eldest son and learning disabilities with our youngest, we have taken the word challenging to another realm. 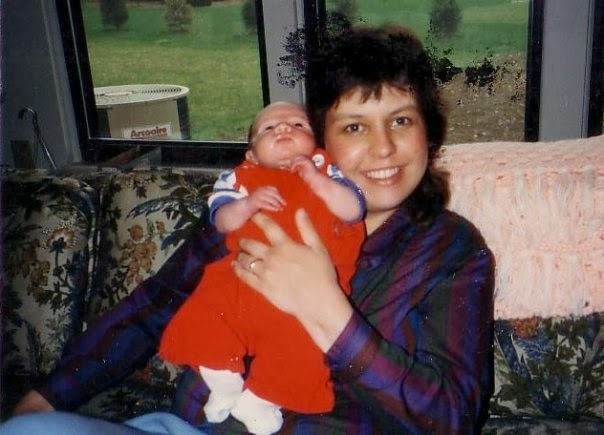 My mother was diagnosed with terminal brain cancer in May of 2003. 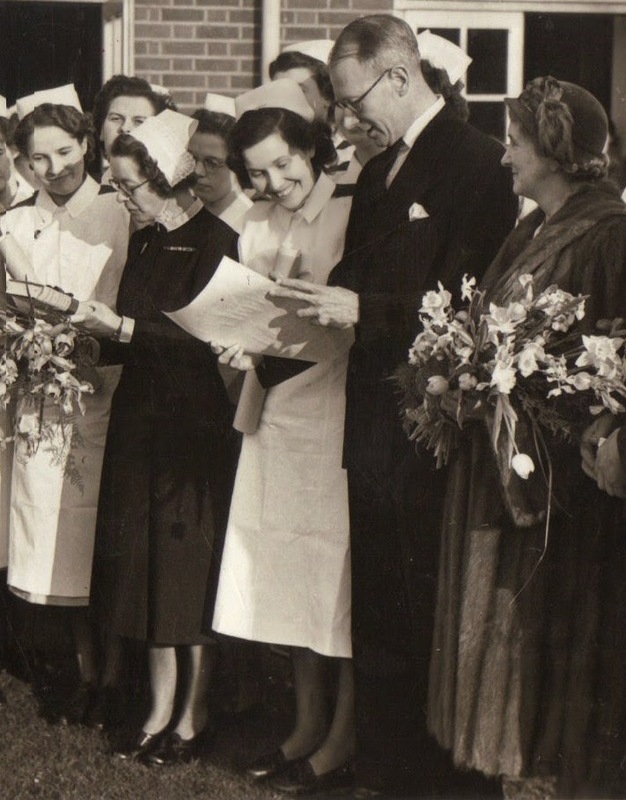 Two days after my mother's diagnosis, Bob's mother was diagnosed with terminal Leukaemia. He was travelling North to be with his mother at her home where she received hospice care while I travelled South to care for my mother in her home while she received hospice care. 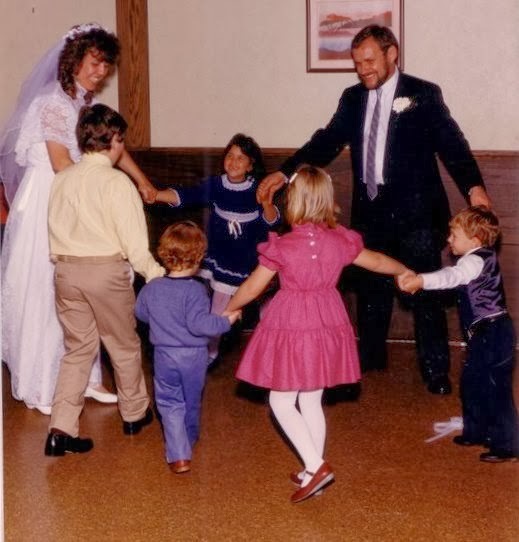 In between all of this we managed jobs, and staggered our schedules so one of us would be present for our sons who were in high school at the time. After my mother died I was diagnosed with type 2 diabetes. 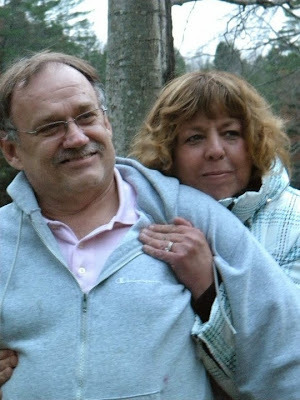 Three months after I was diagnosed with type 2 diabetes, my husband was diagnosed with it too. Looking challenges in the eye with humour as is my character, I told my husband this sharing poop had to end. I truly believe that everyone is connected in the path we travel in life. I do not believe anything is by chance. By dealing with the same issues simultaneously my husband and I were able to support each other at a deep level because each of us understood what the other was going through. The same is true in dealing with our children's challenges, or any challenge for that matter. We were challenged but through those challenges we gained knowledge that could help us, others, and to become stronger more understanding people as a result of it all. I have two sons. My eldest is 27. He is an extremely talented musician with his primary instrument being the tuba. Despite his earlier medical issues he triumphed and rose above them not letting them get in his way. He was inducted into a juried brass quintet at a local conservatory of music and received a scholarship to go there. He made all state in his Junior year of high school and I am proud to say got to perform that year at Symphony Hall with high school students from all over who beat out many others to receive this honour. He went on to receive his Bachelors degree in music performance and education where he performed in the U College Band. He is determined, honest, and hard working and is now a paramedic. He also always had an incredible talent in the science field. I am impressed by the fine young man he has grown up to be and could not be prouder of him. I do not know where he got his incredible musical talent as I sound like a cow in heat when I sing. My youngest son is equally determined as his older brother despite having learning disabilities. He is 25 and an absolute computer whiz. His computer skills and unbelievable gifted memory never cease to amaze me. I recall him hooking up our digital TV cable box for us when he was twelve years of age in fifteen minutes using no directions!! He has a grand sense of humour. It is a misnomer that Aspergians do not have a sense of humour. He has a rare ability to be able to take the challenging things in life and see a form of ironic humour in them. This is another quality that I love about my youngest. He was in the band in high school and plays a pretty mean drum. He received a BA in psychology and is now completing a computer repair certificate program at a local community college. My big brother is so clever..
As with his brother, his perseverance in life makes me so proud. Despite struggling with school having no IEP until 10th grade, being bullied, etc. He has continuously picked himself up when he fell and tried again, never giving up. He has kept on the good side of the law, is hard working, maintaining a job while he is going to school and has a huge heart of gold. I would not change my family for the world. They are my heroes. They have struggled and not only survived but succeeded. You're another Mother driven into higher education to make a difference to special needs children and dispel ignorance? I went back to school and received my bachelors degree in psychology and masters degree in Education. I had one goal, to educate myself so I could help parents feel like they do not walk in the dark, that they are not alone, empower them and that there is light at the end of the tunnel. I also wanted to work with educators and society at large to become educated on the autism spectrum as I believe all parties involved need to work as a collaborative team in order to insure a special needs child’s success. 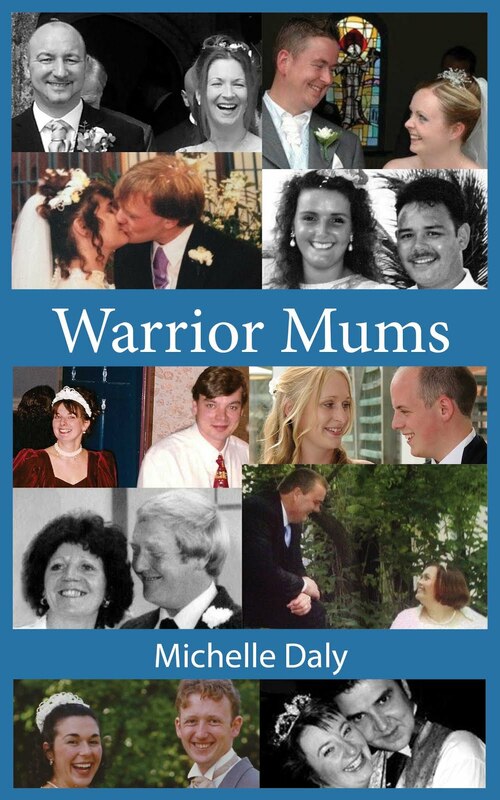 I wanted to use my experiences bringing up a child with Aspergers to ease the challenges of other parents. My son was not diagnosed until high school. No one believed he had as many challenges as were present. He was diagnosed in second grade with ADD and deemed lazy and defiant. In reality although he had A.D.D. he had many other issues as well. I went back to school and vowed that I would become an advocate for all special needs parents and never brush off their concerns as ours had been. I have been pondering exactly what autism awareness means. As a neurotypical living within a family sprinkled with aspergians, I have learned most likely more from my family than them from me. Mostly, to step out of my own little box and attempt to perceive the world from the eyes of an individual other than myself. Awareness means knowledge, acceptance, and tolerance. Making an attempt to fix an individual is not acceptance and tolerance. It is merely attempting to make an individual fit into a perceived social mold, created from social mores and societal expectations. Allow me to make an analogy. It is commonplace for English speaking individuals to expect others to speak English when visiting foreign countries. When foreigners visit English speaking countries we expect them to speak our language as well. If we expect others to speak our native tongue is it not socially appropriate that we attempt to understand theirs as well? In the case of an Aspergian living in a society where neurotypicals are the majority, the same principle should be used. Aspergians struggle everyday of their lives to conform to a neurotypical world. Wouldn’t it merely be appropriate that neurotypicals extend them the same reciprocal understanding? Embrace differences and the qualities that Aspergians bring to the world. Aspergers cannot be cured, nor should it be. Individuals with Aspergers are not faulty computers that we repair with a few adjustments to their hard drives. They are individuals, just like the rest of society, who have done great good and brought great advances to our world throughout history. They are the analytical thinkers of our world, inventors, engineers, scientists, actors, mathematician’s, husbands, wives, fathers, mothers, and children. We can thank aspergians for many great contributions in the world. The world renowned Temple Grandin: An author of many books that have expanded and awakened the world’s knowledge and acceptance of autism. She is also a food handling systems designer, and much much more. Miss Grandin has given the autism community a great deal of respect and reduced the stigma associated to the autism spectrum through her candour regarding her life and public presence as a professional. James Durbin: American idol contestant- He brings us the gift of music through his wonderful voice. Bill Gates Founder of Microsoft whose gift for technology brought us Microsoft. FYI without Mr. Gates wonderful development of Microsoft we would not be interacting with the world through in a literal millisecond via electronic communication. Thomas Edison: He was the forefather of inventing the light-bulb, phonograph, and motion pictures. world and set forth a path of exploration for future scientists. John Elder Robison: Author of many books such as “Look Me in the Eye” Through his brave willingness to publicly tell his story from childhood to adulthood, he became a role model for other individuals on the spectrum. He exemplifies the ideology that yes; aspergians strive for and do experience success within society. many lives at times when they did not think they could laugh. Holly Peete, and Toni Braxton: Just to name a few stars who have become awesome advocates for the autism community as a result of having children on the spectrum. They are perhaps the most humble and grounded public personalities in the entertainment business. Hence my comment earlier that we can learn as much if not more from our children on the spectrum than they learn from us. Last but not least, an individual with Aspergers that is my hero is my young adult, determined, creative, electronics whiz son. He will always be a celebrity in my eyes. I could ramble on in regards to all the wonderful people who have Aspergers or are assumed to have it but would end up with a novel here. I believe I have made my point and you the reader get the idea. I leave you with a thought to ponder. If Thomas Edison had been “cured” or shall I say “fixed” according to societal expectations we would be living in darkness, we would not have music CD’s which he paved the way for with the invention of the phonograph. We would not have movies on demand which were born from his interest in developing motion pictures. 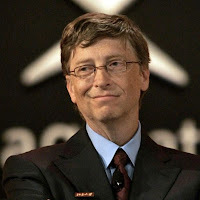 Without Bill Gates our ability to communicate thoughts via electronic technology would be minimal or nil. Without the Holly Peetes and Toni Braxton’s of the world who use their fame within a positive venue to better the world for the autism community due to their wonderful children, awareness Autism awareness would be minimal. John Elder Robison breeds acceptance and takes away stigma through his wonderful books and public speaking. Without Dan Akroyds gift of humour, the world would be a sadder place. James Durbin’s voice can light up a room. Without crooners like him we would miss the gift of music. Without the Temple Grandins of the world we would miss out on an exemplary human being and role model who not only spreads awareness and knowledge of the autism community but spreads knowledge for the neurotypicals who work and play side by side with these fine individuals. Final summing up as a parent? I wish to remind parents that it does get better and yes many children on the Aspergers spectrum will grow up to be successful. 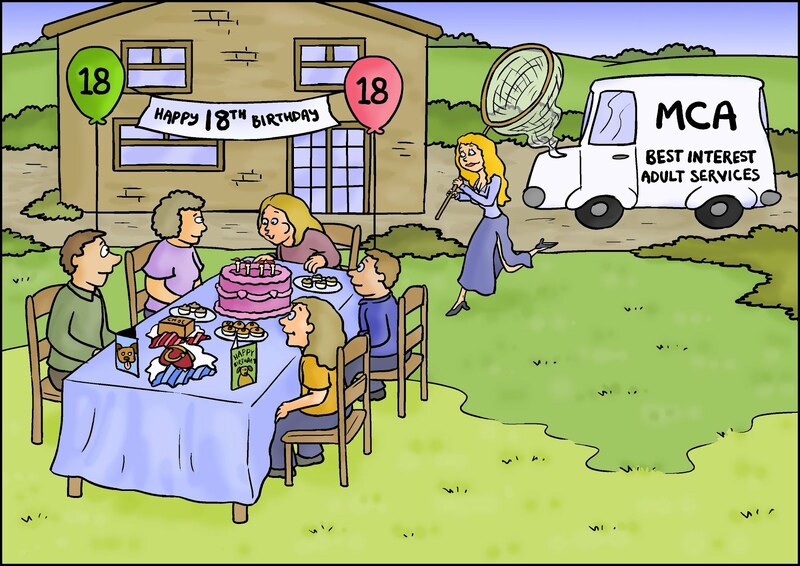 You will find that some of the behaviours which are irritating in children with Aspergers will prove to be their golden road to opportunity as adults. The child who over focuses as a child will turn that into perseverance towards inventing or fine tuning better ways of existence as an adult. The child who demolishes and corrupts your computer as a child resultant from their incessant drive to tinker, dismantle things, and put them together again will turn into our great thinkers. I.e. mathematicians, scientists, architects’, and research scientists. The stubborn child will turn into the adult who perseveres and problem solves until they come up with answers and never take know for one when trouble shooting. The child who obsessively collects one item i.e. fans, dinosaurs, radios, baseball cards, will turn into the adult that uses their wonderful analytical mind to make sense of things like equations, cell mutations in cancer through a microscope, and more. Upon my presenting my case here, would the world be better if we could “cure” Aspergers. Nah, I think not. Perhaps our other option is to step out of our own personal soapbox, fraught with personal perceptions of how people should act and accept each other for the contributions that our differences bring into society. Aspergians must attempt to understand neurotypicals, but we neurotypicals must learn to embrace and accept the wonderful contributions of Aspergians as well. To all individuals past and present with Aspergers and their wonderful parents who did or still do encourage and strive to understand their children, I salute you and tip my hat to you for the awesome individuals that you all are. May we all grow to live in a utopian world of commonality born from respect and acceptance for each person’s individuality and an understanding of what would happen if society deleted the them and us ideology and replaced it with WE. Before we finish would you like to tell us about your books? 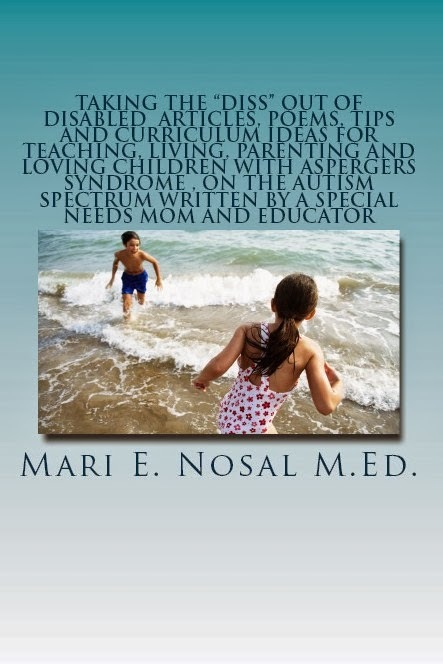 In my book, The Ten Commandments of Interacting with kids on the Autism Spectrum I demonstrate my knowledge and experience as a parent of a son with Aspergers and education professional by sharing ways that others can effectively support and interact with individuals with autism and their families. 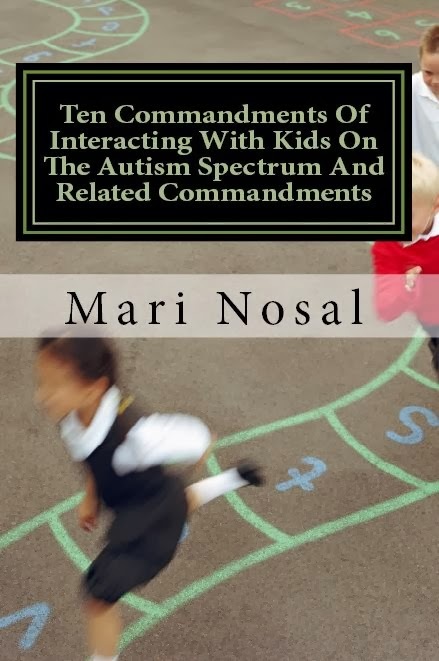 I created the Ten Commandments For Interacting With Children On the Autism Spectrum with the intent of providing an informative handbook for parents, educators, and kids with autism. My belief is that all individuals involved in bringing up a child on the autism spectrum must work as a collaborative team. That said, my Ten Commandments series is separated into three parts to address all individuals who are part of the child's support team. This book is 32 pages long and was developed to be informative in a design that busy parents, educators, and society at large can read quickly. Some parents have told me that they love the compact size because they can carry this book in their purse, glove compartment and more and pull out the book to show people when attempting to explain their child's needs or behaviour to others. I know of an educator who keeps a copy in her desk draw and can pull the book out at a moments notice to access information regarding a particular child on the spectrum. My ultimate goal is for Ten Commandments For Interacting With Children On the Autism Spectrum to become an educational and support tool used in households, schools, and by society at large to help kids on the spectrum to live, learn, work, and play in a society that is amenable to their needs. A lofty goal I know, but then I always dream big. You have a new book coming out this weekend? The complete works of my blog Taking the Diss out of Disabled has just been published Kindle/paperback and is available on Amazon. Taking the "Diss" Out of Disabled was chosen as my book title to emphasize the need for tolerance, understanding, an inclusive reflective mindset and acceptance of individuals with disabilities by society at large. 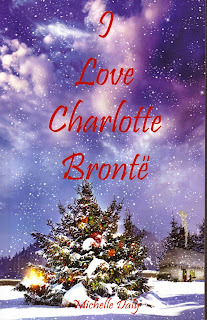 Many people have expressed the fact that my articles have inspired them and they wished for a book of my works that they could read at anytime. It contains inspiring stories, poetry, musings, curriculum ideas, and tips about Aspergers, living, parenting, and teaching individuals on the spectrum. Mari, thank you so much for sharing your journey, I'm sure it will inspire many people. My daughter diagnosed as a Selective Mute at the age of 6 (we knew from a baby that things seemed different with social development it has thrown us as parents huge challenges lack of understanding by the very people who should understand and want to help. The blame is always put on the parent if they can't find a reason/way to help. I feel unless you live with kids who have whatever needs no one truly understands, how hard it is for the child and their parents and siblings. We have had to fight tooth and nail to try to get teachers and professionals to understand we should be respected for wanting our kids treated the way we know helps them to succeed. It certainly helps others fell not so alone. You must be very proud of your son's I can tell you are. Sophie.......You hit the nail on the head. Some individuals believe one can read a few books and they become authorities on special needs. My favorite saying has always been you cannot Google facts on autism or any other special need for that matter and claim to be an authority. You are such a wonderful, supportive, positive, determined woman Mari and reading this I feel as if I have known you for ever. Thank you for sharing your precious family and your personal story with us. Thanks for your kind words Hayley. I am glad our Journey inspired you. Coming from such a strong positive parent such as you that has kept persevering despite your families challenges that means a lot.